Nice price! !What a wonderful country retreat! 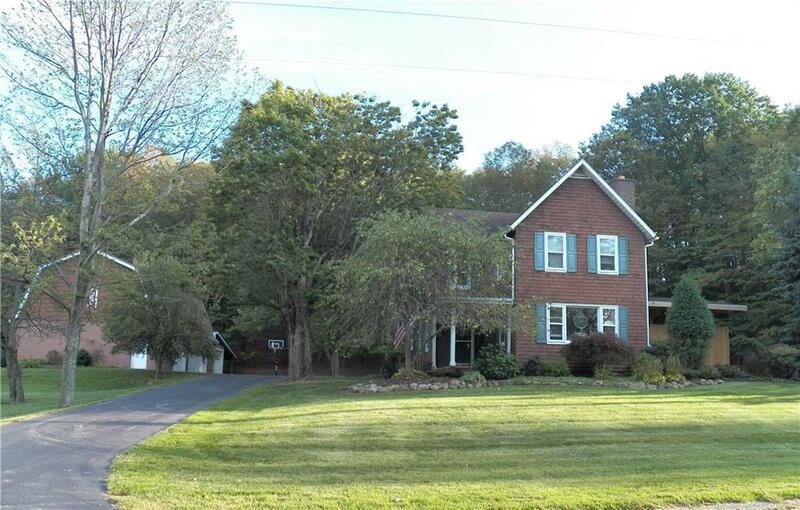 This classic colonial offers almost 6 acres of wooded land to hike, a great 2 story barn that can fit 6 cars with a full second floor, a sparkling inground 42' pool and a covered deck with hot tub! Enjoy entertaining on the concrete etched patio with views of the hillside, woods, landscaped grounds and refreshing solar heated pool. Indoors is a cherry kitchen with a morning room leading to patio. A bright white sundrenched Florida room with skylights leads to pool & patio. Formal dining room and cozy living room as well as 1st floor laundry room and amazing granite bathroom with soaker tub! Central vac, zoned heating ,Helix digital heat/hot water on demand. 200 amp electric, copper pipes. 8 minute drive to town, yet all the privacy you love!! Directions To Property: From Route 20(Main St., In Fredonia), Turn Onto Chautauqua Rd. Home Is On The Left About 4 Miles Up.